The past few days have been great. Thursday Tony and I worked next door, at Escondida Resort, and it was fun as always. Thursday evening I wanted to relax and watch TV, but I could not decide what to watch. I've been dying to watch A Star Is Born starring Bradley Cooper and Lady Gaga and Sam Elliott, ever since Carol had told me that she loved that movie, so I went on Amazon and it has not been released yet, but I could buy it. So I decided to treat myself, since we've been working so much, and I purchased it with just one click. Oh my goodness—I love that movie, too!! Seriously, Bradley Cooper and Lady Gaga were awesome and I must admit and am embarrassed to say that Bradley Cooper is so handsome—I went a little gaga watching him. 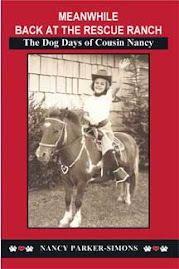 And the music was incredibly great too, and I also went ga-ga over Charlie, Bradley's real life dog, (Labradoodle) who also starred in this fabulous movie! So after watching the movie I Googled A Star Is Born and I was blown away to find out that Lady Gaga has never acted. Bradley Cooper taught himself how to play the guitar and had never sang professionally. Also Bradley Cooper and Lukas Nelson (Willie & Annie's son) wrote several of the songs and Lukas also co-wrote some of the songs with Lady Gaga. Anyway, the music was so fabulous I plan to buy the soundtrack soon. Friday was a really fun day. Tony and I worked Friday morning and then we went to the Apple Store, in Medina, to eat lunch with several of our friends: Kris & Jim, Eileen, Lisa, Chris, June, Ellen, Kim and Carol. 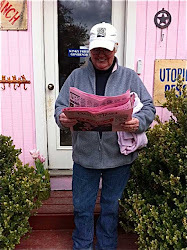 And we have Eileen to thank for getting us all together, too. Tony took this picture of "our gang" of dog lovers reunited. 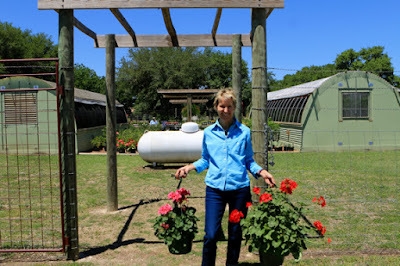 After lunch, Tony and I followed Carol to her favorite plant nursery—Plant Farm Nursery between Kerrville and Bandera, because she loves this place and we had never been there before. When we arrived Monte and Jesse, the friendly owners of the Plant Farm Nursery greeted Carol by name and then Carol introduced us to Jesse and Monte. Then the fun began. Carol, Tony and I took off in three different directions, as Monte and Jesse took turns helping us find exactly what we were looking for in their many beautiful greenhouses. 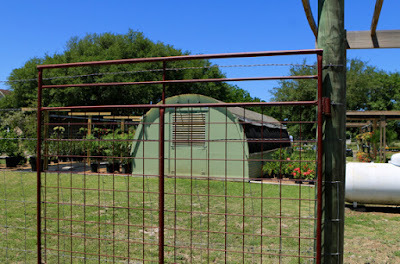 And we were all amazed and also happy with their low prices and the beautiful plants that we purchased. 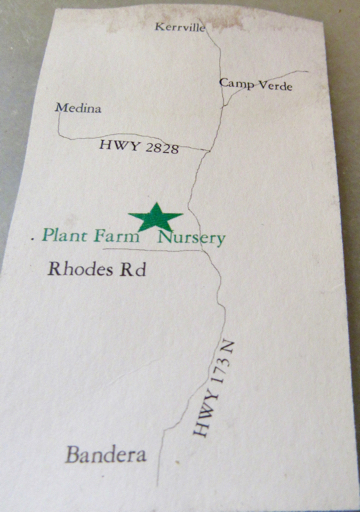 So I highly recommend the Plant Farm Nursery. 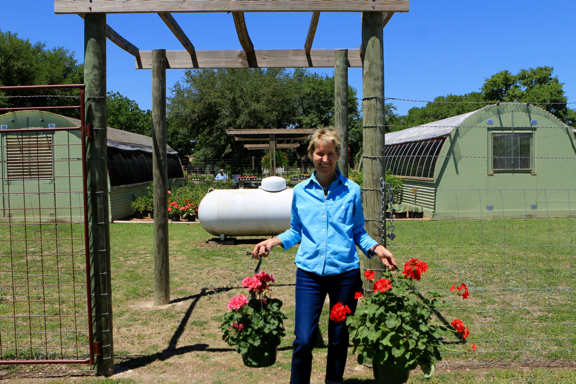 Here is Carol showing off a few of her gorgeous Geraniums. Tony and I worked with Rob last night and it was a lot of fun. 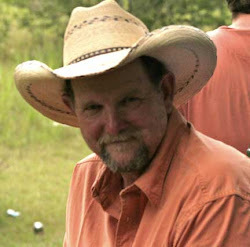 And I swear that man knows how to cook the most delicious food, in the Texas Hill Country. And to prove it Escondido's guests love Rob's cooking so much they are always taking pictures of his delicious-looking food when they are served, before they enjoy their meals. And last night when we came back home I re-watched A Star Is Born and I enjoyed it as much as the first time I watched it. Today has been great, too. 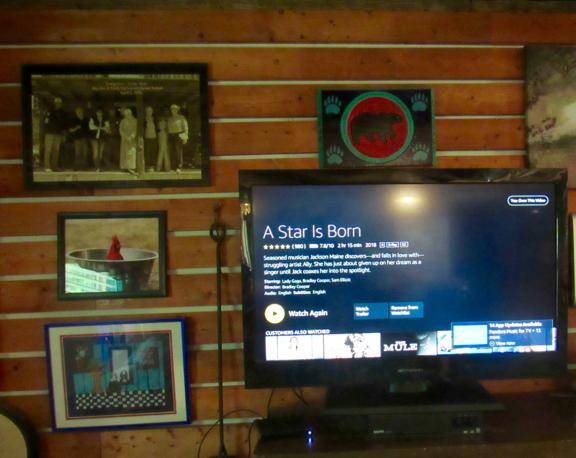 Tony and I worked this morning and when we came back home Tony went into his man-cave and watched A Star Is Born, because I had been raving about how much I love this movie. And he liked the movie a lot and even though he won't admit it—he went gaga watching Lady Gaga perform. And that is about it for tonight, because Tony and I are working tonight with Rob, again. And I can't wait to see the menu that he has planned and will cook for Escondida Resort's guests. Who knows? Maybe I will take pictures? One Strange Rock! or On Demand! Last Sunday afternoon, I went over to see Carol. I thought we were going to visit and then watch one of my all-time favorite movies—The Electric Horseman. The 1979 movie starring Robert Redford, Jane Fonda, Willie Nelson, Valerie Perrine and Wilford Brimley. After we caught up with each others news, I handed Carol my movie, so we could watch it, because Carol had never seen this fun movie, but I was wrong. When I told her that she was going to love watching this movie, she said, "I've seen it and I love that movie. 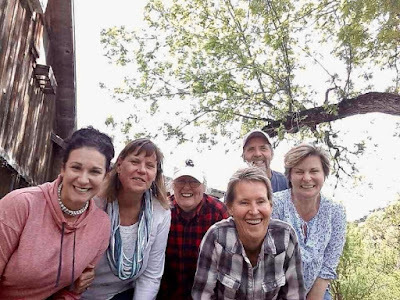 In fact, I watched it again just a few months ago..."
And after I told her that I thought she had told me that she had never seen it, we had a good laugh about it and then we went back outside to sit on her deck, so we could enjoy the beautiful weather. 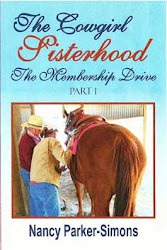 Bottom Line: When I got back home I watched The Electric Horseman by myself— if you don't count Little Debbie, Roy, Beau, Henry and Big Al(ice). Monday was a great day, too. Or at least it was until around 5:00 that evening. 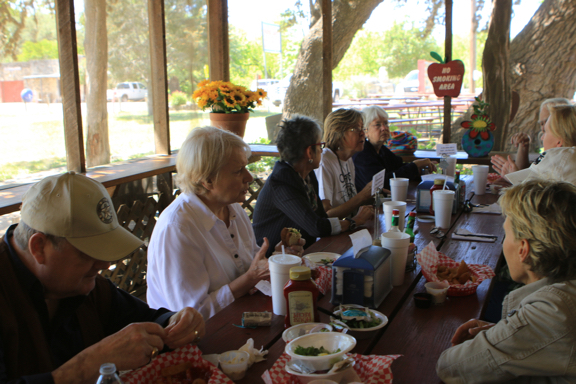 But that is another story that I do not wish to talk about, in hopes that I will forget about what had happened in Kerrville. So that evening, to help get me out of my funk I watched The Highwaymen, on Netflix—starring Kevin Costner, Woody Harrelson and Kathy Bates. 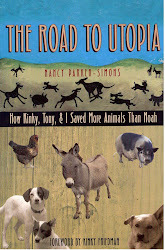 Then I stayed up until 1:00 writing on my third novella. Yesterday was a great day—thank goodness. I spent my morning writing and then Tony and I spent a few hours doing some yard work. After lunch we went to Kerrville and ran a few errands. Bottom Line: We returned home with clean clothes and laundry and some much needed groceries. And last night I decided to watch National Geographic's One Strange Rock: The Story of Earth, hosted by Will Smith. I was hooked after watching the first episode of One Strange Rock, so I stayed up late again, and watched two more episodes of this amazing series, on Netflix. Then I stayed up for another hour and wrote some more. Today has been another great day even though this morning our little, cheap, plastic, water dispenser started leaking, in the big room, so Tony carried it outside and put it to rest in the trash can. 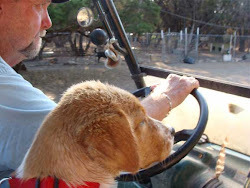 But the good news about this is Tony went into the barn and returned with our old, reliable GE Profile electric water dispenser that we had used in our trailer, before we moved over here. 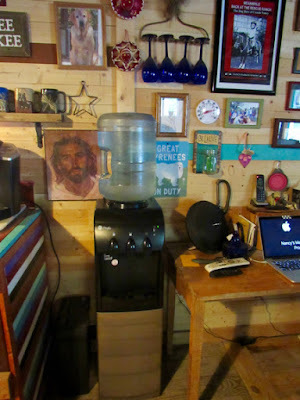 We had loved this hot/cold water dispenser that has a small refrigerator, at the bottom, to store cold beverages, but I guess when we were moving over here we must have stuffed it inside the barn and had forgotten about it. 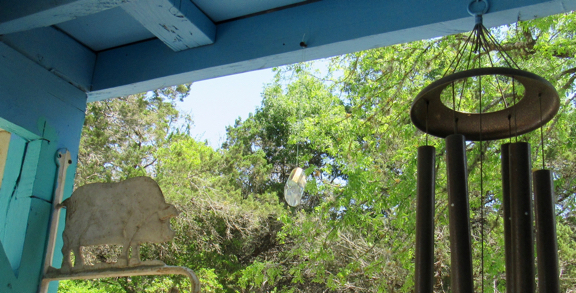 Anyway, Tony and I cleaned it from top to bottom, out on the front porch and then we put it, next to my desk, where the broken, plastic water dispenser had served us. And I am more than thrilled that Tony found our water dispenser, because now we can enjoy having icy, cold water on demand, again. So knock-on-wood—life is good. Today has been great as usual—thank goodness. This morning before Tony and I went next door to work, I was cleaning The Cabin. Hazel (My loyal, purple Animal Dyson vacuum cleaner) went back into the closet after she had removed all of the dog's hair from the floor, etc. 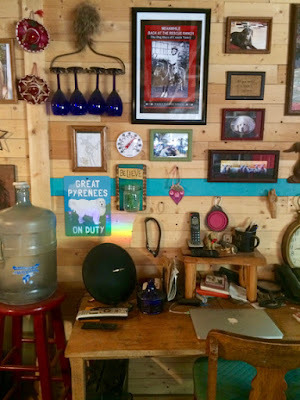 And while I was washing the dishes, something caught my eye, so I glanced over and saw this beautiful rainbow dancing all over the wall, above my desk. 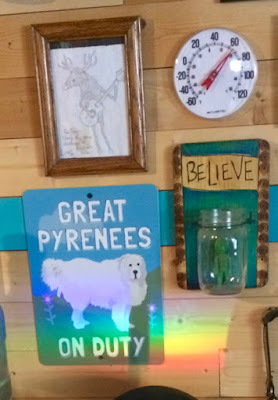 So I grabbed my camera and caught a picture of the rainbow that was below my BELIEVE wall plaque and to the left of my pretty Great Pyrenees On Duty sign that Carol gave to me last year. Then I sort of panicked, because I realized that my little green alien was missing! 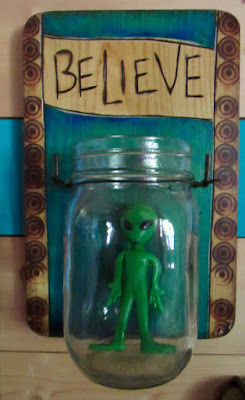 He/She/It was not inside the BELIEVE plaque's small jar. 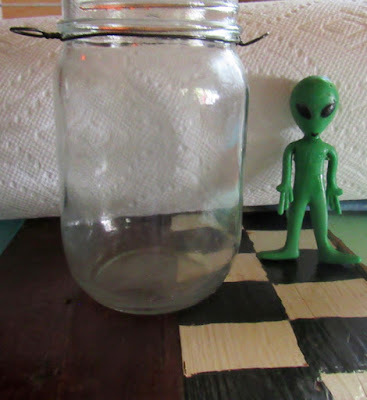 But when I took a closer look the alien was inside the jar. It just needing dusting. In fact, it was so dusty the jar and It needed a thorough washing. So I carefully removed the jar holding precious cargo and washed them in the kitchen sink and after drying them I took this picture to prove I had washed them. Then I put my alien back inside the jar and then hung the plaque back up on the wall. Happy to know that my little green friend was safe and sound I then had to spend two minutes convincing Little Debbie that the small alien was mine and not a toy for her to chew on. Before Tony and I left to go to work, he noticed the rainbow dancing on the wall, too. And like me he thought it was pretty cool. So I took another picture of it. The last few days have been great. We've been working a lot next door, because there have been so many guests staying at Escondida Resort. 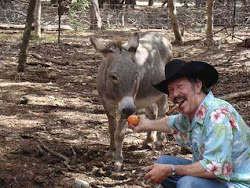 It is such a beautiful, peaceful place and because it is one of the most popular resorts in the heart of the Texas Hill Country—people are drawn to it and they never want to go back home. 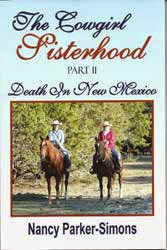 And if you've ever been lucky enough to have been a guest at Escondida you will know exactly what I am talking about. So for the past few days, if Tony and I weren't working next door we were home working at Big Foot Ranch. 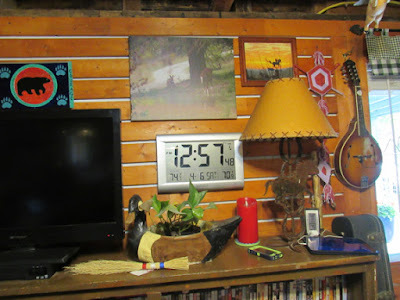 We did a ton of much needed mowing and weed-eating which was not that much fun and we also did some home improvements. 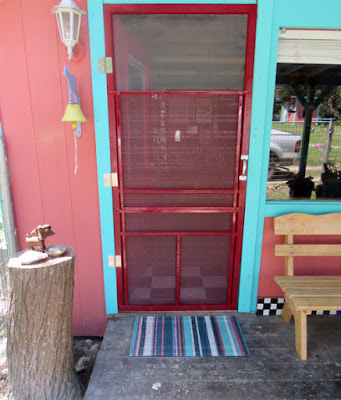 Our screen door was our first home improvement project. Tony found our old, Outer Space screen door, in the barn, so we did not have to buy a screen door and two metal, pet screen guards. And the good news is we saved a lot of money by using this screen door and the pet grills. But the bad news is after I had painted the door and grills red, it took Tony and me almost an hour to put a new screen on the door. Because not having a roller to easily push the spline into the grooves—we used kitchen knives. And when we were finished we each had big blisters on our index fingers. The blisters were well worth it, because we were so happy to finally have a screen front door. But ten minutes after we celebrated our accomplishment—things went south or better said, "Henry Standing Bear went south. 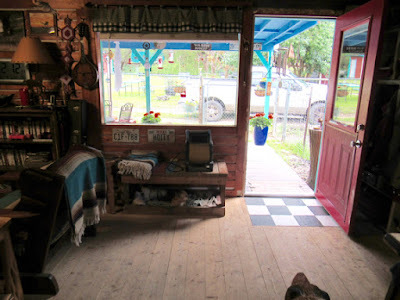 There we were standing on the front porch admiring our good work when Henry jumped up on the screen door to let himself out, of The Cabin, so he could join us in our celebration. The good news is Henry did not damage or dent the screen. "Tony, there is no way that I am going to put another screen on that door, again." And Tony totally agreed with me. So Tony went back inside our barn and when he finally came out—he had two more pet screen guards, that we had used on our trailer's front and back doors. So I quickly painted them red, too. 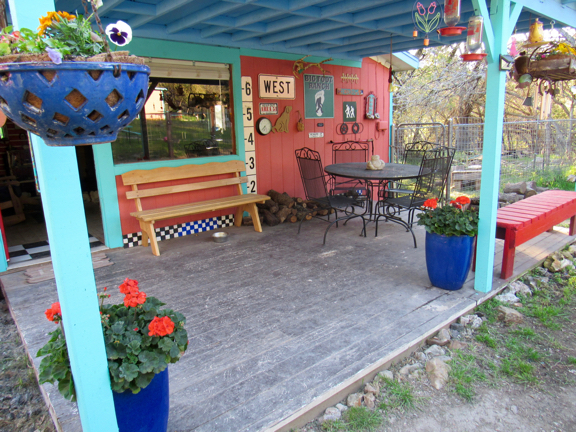 While that paint was still drying Tony and I went to the Home Depot in Kerrville, and purchased a gable exhaust fan that Randy had suggested we install to help cool The Cabin. 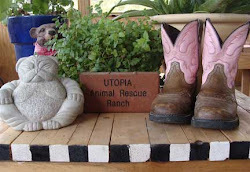 And I bought this great rubber door mat that was on sale and it only cost $6.95. After we got back home it only took us about fifteen minutes to attach the two other pet screen guards and even though our screen door does look sort of stupid now—there will be no way for Henry Standing Bear, who stands nearly six foot tall—stretched out, to destroy the screen. 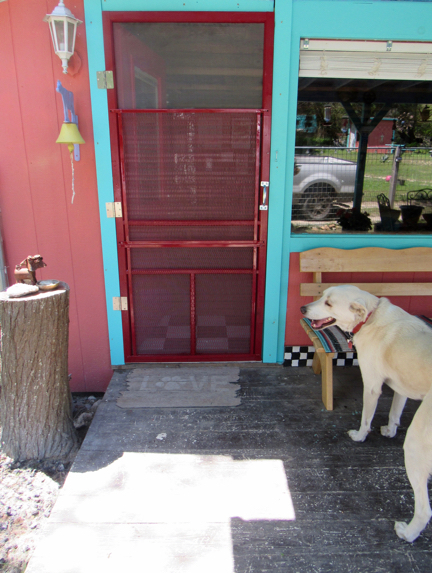 Here is a picture of Henry admiring our custom-made-Henry-proof screen door. And our old mat, before we replaced it with our new colorful one, because the old mat does look a little drab. 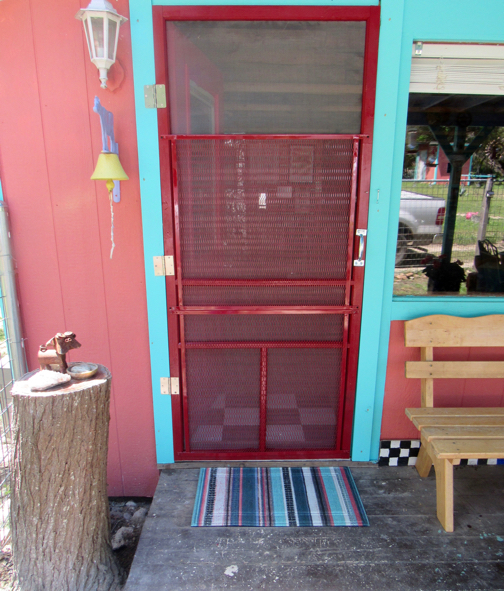 And here is a picture of the screen door with its four pet grills with the new mat in place. 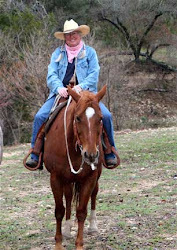 Cowgirl Sisterhood Alert—Besides Carol, Carla, Julie, Sug and Randy are all quirky characters in my upcoming third novella The Cowgirl Sisterhood: Ghost Riders In The Sand. Anyway, I had a wonderful time visiting with everyone and I stayed over there for over two hours—laughing constantly. And here is a picture of us posing in Carol's front yard. And please note that we are all bent over, because our backs were aching from laughing too much or at least that is my excuse. And that is about all for tonight. Okay, I Lied! or Redneck Dryer! Okay, I lied, but I didn't do it on purpose. Seriously, I thought we would be too busy working for me to post anything until Sunday or Monday night, but as you can see I was wrong. So let's just say that I unintentionally lied to set the record straight. Today has been great, because I slept in late with our four-leggers. After doing my morning habit (Sit up, and say, "Today is going to be a great day!" Loudly clapping my hands together and then jumping out of bed.) 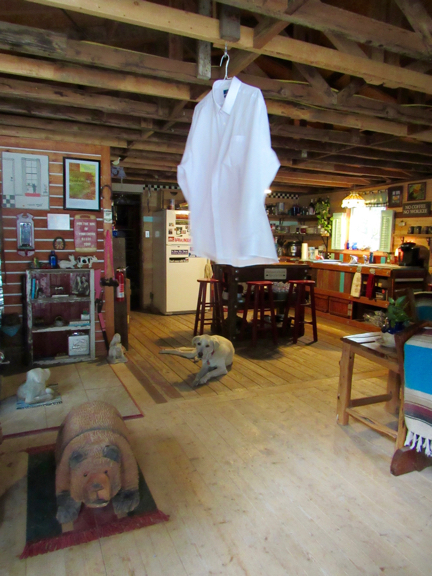 The dogs followed me into the kitchen, so I could drink my first cup of coffee. But before getting to my coffee mug, I saw that Tony had left me a short, sweet note—"I've gone next door to work. Will be back soon. Love, Tony." While I was listening to my music and enjoying my first cup of coffee I realized that I needed to hand wash Tony's and my white shirts, that we wear at work, because we are working tonight and we will need to wear them, again. 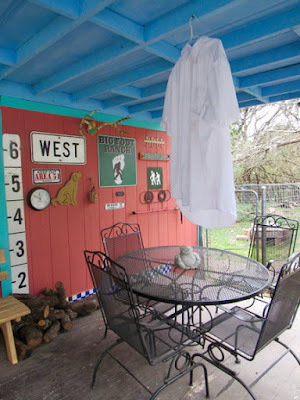 After washing our "work" shirts, in the kitchen sink, I hung them out on the solar dryer to dry. A little while later, it was looking like it might rain, so thinking fast, because I needed for our shirts to dry, I went and got my small, but powerful, little hand drill, some screws and my step stool. And just as I was about to climb up my step stool, on the front porch, Tony drove up and asked me what I was doing. "I'm fixin' to put in some screws, up here, so I can hang our shirts on them so our shirts will dry." Then Tony asked me where I wanted the screws and then he put them in for me. Then I took the clothes off the solar dryer and put them on coat hangers and hung them up on the porch. 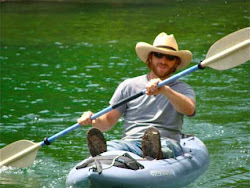 And Tony teased me, and said, "If this ain't redneck I don't know what is. It's a redneck clothes line." Then it started raining lightly. Because of the high humidity, as Tony was going back into his man-cave to rest, I asked him, "Please get my powerful floor fan, out of the bedroom and put it on top of the bench, below our big, front window. I'll plug it in for you." "Because I am going to hang up our shirts inside and let the fan dry them. I know it will work, because it dries my hair in less than a minute." Then Tony chuckled and went and to get my fan. After Tone turned the fan on its highest speed, I went outside and got my shirt that was hanging up and brought it inside and hung it up on a eye-hook in the rafters, and then I aimed the fan upwards—to dry my shirt, as Henry Standing Bear watched with interest. And that's when Tony declared, "Now, it's a redneck dryer." As we watched my shirt twirl around in the high wind, we were laughing. Then Tony said, "Gosh, let's hope no one comes over here and sees this." Then he went outside and locked our gate closed, so no one would be able to drop by. And by the time he got back inside The Cabin—my shirt was almost completely dry, except for the cuffs! So I took my shirt down and hung it up in the shower to finish drying. 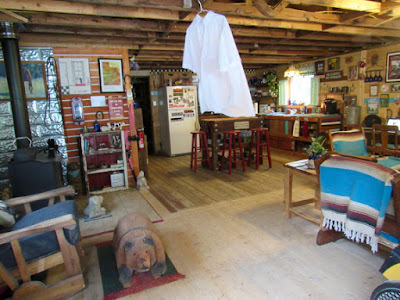 Then I hung up Tony's wet work shirt to dry, in the big room. As I finish writing this, at 12:57—both of our shirts are completely dry and they are ready for us to wear tonight. And it is now raining outside. And the good news is no one will ever know about our redneck dryer. So life is good, once again. Tony & I Are Working A Lot This Weekend! I Will Write More Sunday Evening! Today has been great. 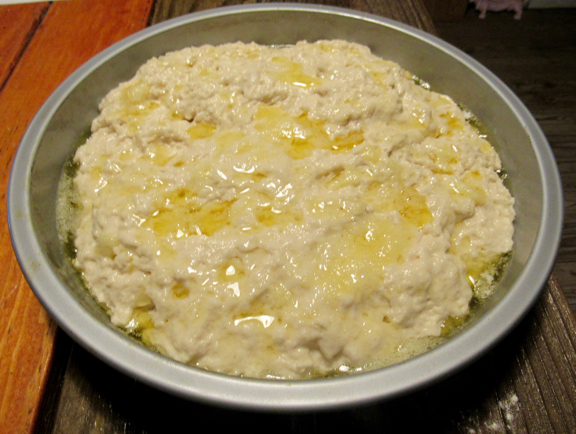 Actually, it has been a pretty quiet day and a little bit chilly outside, so this afternoon while Tony took a nap I decided to make bread. Yes, I know that I am a complete failure at baking bread, but I decided to try to find an easy beer bread recipe Online. And I found this Gimme Some Oven—with a 5 star honey beer bread recipe that only uses 6 ingredients and it looked easy enough for even me to bake. 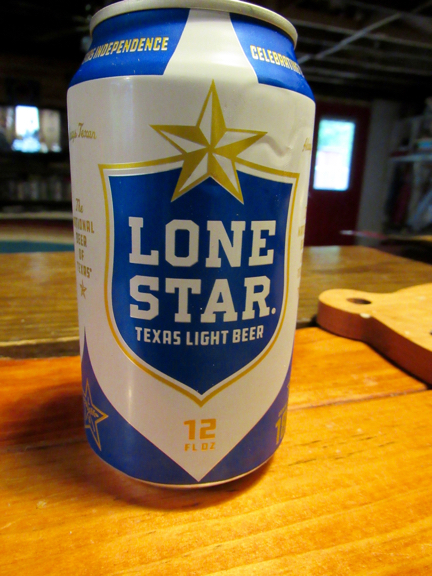 So while Tony snoozed, in his man-cave, I stole one of his cold beers and added it to the dry bread mixture. Then I added the rest of the ingredients and followed the directions carefully. And because my countertop convection oven prefers metal pans to glass—I decided to use a metal cake pan instead of my pretty, cobalt blue, loaf pan. Then I placed it inside the oven and waited. 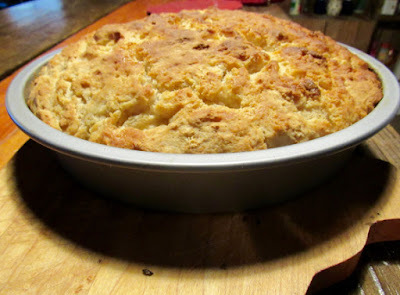 Omg, the honey beer bread looked so delicious when I pulled it out of the oven. Henry Standing Bear who was helping me with this easy recipe was all eyes and got excited when he saw this delicious-looking, round loaf of bread that we had made. And since Henry is a Lab/Great Pyrenees mix with excellent tastes I cut him a small slice of bread, buttered it and then served it to him. And because Henry gobbled it up so quickly I knew that we had created a winner. 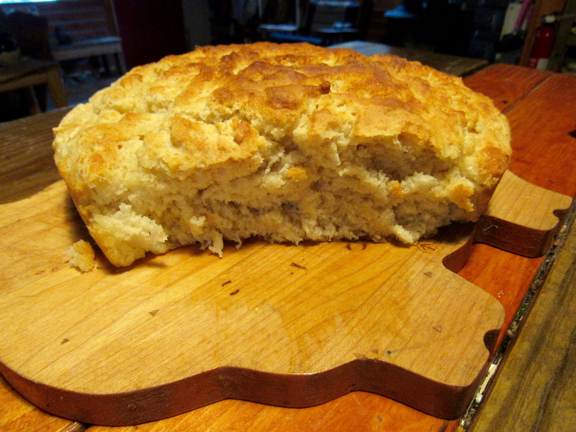 And I was so thrilled, because I/we had finally baked a delicious loaf of bread, after so many years of trying! I guess Tony had smelled the bread, because the next thing I knew he was standing beside me in the kitchen, and he said, "That looks delicious. Can I have a slice, too?" 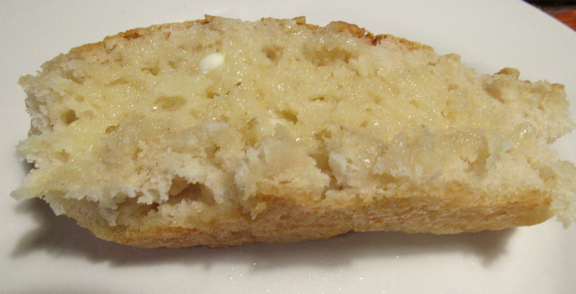 Bottom Line—this is the tastiest (honey) beer bread that I have ever eaten and Tony and Henry feel the same way. So I want to thank Ali, at Gimme Some Oven for this awesome, delicious Honey Beer Bread recipe. I love her site and I do plan to check it our further for even more great recipes. Gimme Some Oven Rocks! The Tooth Fairy! or Food For Thought!